We might not know exactly what happened on this battlefield in Denmark, 2,000 years ago. But one thing is certain: It was violent. 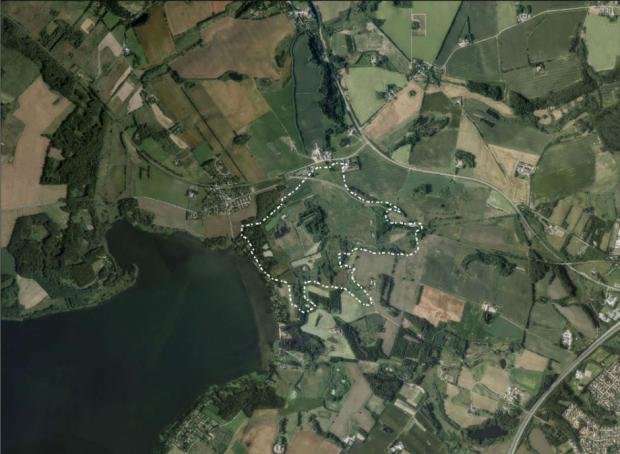 In a new study, archaeologists present their collective findings for one of the most spectacular archaeological excavations on Danish soil at Alken Enge wetland, and it makes for horrific reading. A mass grave in the small East Jutland town of Alken contains the human remains of a battle, where 13-year-old children fought alongside adult men, where the dead were left and ripped to pieces by hungry animals, and where the bones where subsequently collected and treated in the most bestial way. One of the most startling discoveries was the four pelvic bones mounted on a stick. "A very strange feeling descended on the excavation when we found them. It clearly shows acts that when you think about them, really makes your hairs bristle," says Mads Kähler Holst, director at the Moesgaard Museum and lead-author on the study. "It became very quiet at the excavation that day," says excavation leader and co-author Ejvind Hertz from Museum Skanderborg, Denmark. Archaeologists have discovered 2,095 bones and fragments so far at Alken Enge. But they have not yet excavated the entire site. In the new study, they estimate that at least 380, and possibly, up to 1,000, human remains still lay buried in the moss. Today, we still know very little about these people who lost their lives in battle. Radiocarbon analyses show that all of the bones originate from a large event early in the first century CE when historical sources recount an upsurge in violence across Europe. But archaeologists did not know who these people were, why they fought, and where the battle had taken place. "There are no Roman written sources in Scandinavia that can tell us what happened," says Hertz. Researchers are confident that Alken Enge was not the site of a clash between the Romans and Germanic tribes in Scandinavia. At the time of the Alken Enge event, in the first century CE, violent clashes between Germanic tribes and Romans occurred as the Roman Empire expanded north. In year nine, the two groups met in the Battle of Varus, which ended in Germanic victory according to the history books. But it wasn't unusual to see fighting among the Germanic tribes when the Roman threat to their territories was absent. It was a time of rifts and migration. "We're quite convinced that these people didn't come from southern Europe because we'd probably see it in the skeletons. They could on the other hand have come from anywhere north of the Alps. We simply don't know," says Hertz. The remains at Alken Enge tell a unique story about Iron Age power structures, says archaeologist Katrine Balsgaard Juul from Vejle Museums, Denmark. Juul was not involved in the excavation. 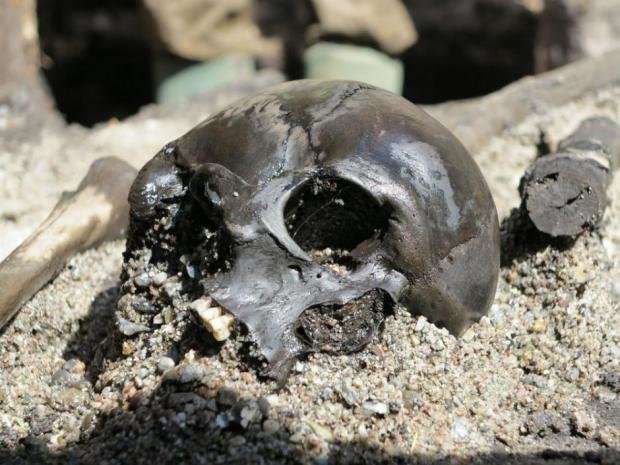 Alken Enge is the only archaeological example of an entire army preserved anywhere in Europe, and the large collection of human remains indicates an unprecedented level of power, says Juul. "It's a really interesting discovery, which isn't only important locally, but for all archaeologists in Europe. We can use it to set all of our postholes and farms in perspective," she says. "We're always interested in finding out how we went from small origins to a more formal structure, or even a state. Alken shows that at this time there was a form of organisation over large geographical regions," says Juul. How many villages does it take to gather an army? To place Alken Enge into perspective, imagine just how many villages it would have taken to build such an army, says Juul. Each village probably consisted of three or five houses, with between eight and fifteen inhabitants—men, women, and children. That is approximately between 24 and 75 people per village, about half of whom were men or boys, so that is somewhere between ten and forty potential warriors per village. Most of the Alken warriors were between the ages of 20 and 40, and just under 5 per cent of them were not yet 20. The youngest remains were of 13-year-old boys. "If we say that at least 380 men died in this case, how big had the army been to begin with? It would require lots of villages to procure such an army. You can imagine it would have [involved] a very large region, which would have lost a lot of young men after the fight. Generations must have almost disappeared. It must have been very dramatic," says Juul. 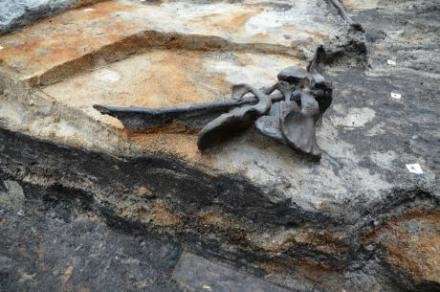 The excavation has also revealed new details about the injuries recorded in the bones. Some were sustained during the battle, others by subsequent treatment that may well be associated with a sacrificial ritual at the bog. Skulls were crushed and two deep grooves were cut into the insides of pelvic bones. "It's hard to imagine an injury like that during battle. We think it must have occurred afterwards," says Hertz. Almost none of the bones showed any signs of previous, healed fractures. Meaning that these men had most probably never seen war before. "It's a strange mixed bunch, from the scrawniest of guys to strong men, and from really young to relatively old," he says. The dead appear to have been left on the battlefield for as long as one year before being collected and carried to the bog at Alken Enge. During this time the bodies would have been eaten by animals and decomposed until only skeletons remained. "These people met an incredibly violent end by battle, and were just left there for a long time. I think that's interesting," says Juul, and suggests that the war was so devastating that they were simply unable to deal with the dead afterwards. It appears that Alken Enge was sparsely populated after the event, which would support this suggestion. What was once farmland turned to forest after the battle. But there could be another explanation: A final snub from a vanquished foe. "It's about the worst thing you could imagine: To not be buried or handled correctly after death and so to be denied access to the afterlife. The ultimate debasement," says Juul. Until now the Germanic tribe's beastly treatment of remains after war had an almost a mystical status. According to Holst, the treatment of the bones and the fact that they were moved to a special place in the landscape—a strip of land by Denmark's fourth largest lake, Mossø Lake, near Alken—suggests a very deliberate action. "It helps to underline that it has something to do with religion," says Holst. Although the lack of written sources means that the researchers do not know which god or gods were the beneficiaries of such a ritual. Alken Enge is a dream excavation for archaeologists, despite the fact, or perhaps because, many questions remain unanswered. "All archaeologists have at least one thing on their bucket list and to excavate something like this, which is so rare and has such regional, national, and international importance, must be one of them," says Juul. "The site is very unique. It really is a once in a lifetime experience for an archaeologist to be able to take part in such an excavation," he says.